3. 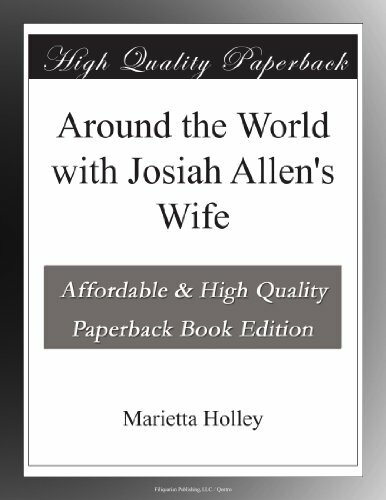 Josiah Allen's Wife As a P.a. 4. Josiah Allen's Wife as a P. A. 6. 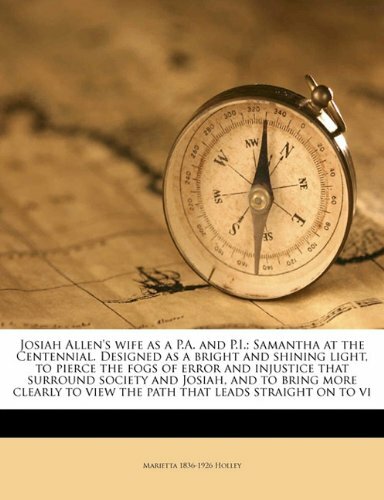 Josiah Allen's wife as a P.A. 9. Josiah Allen's Wife As A P.A. 10. My Opinions and Betsey Bobbet's. 11. Josiah Allen's Wife As A P.A. 12. JOSIAH ALLEN'S WIFE AS A P.A. 15. 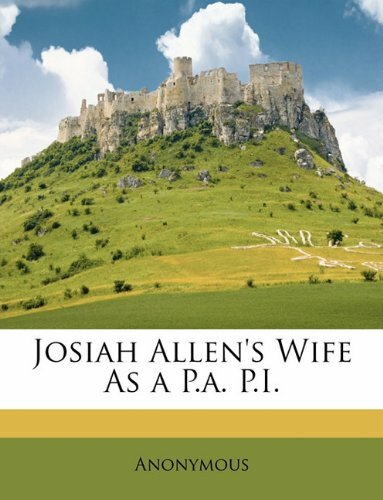 Josiah Allen's Wife as a P.A. 16. JOSIAH ALLEN'S WIFE AS A P.A. 20. Josiah Allen's Wife as a P.A. 2. 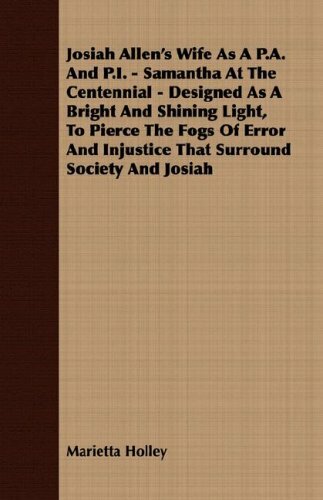 Marietta Holley: Life With "Josiah Allen's Wife"
Recovers the buried reputation of one of America's most popular writers from 1873 to 1914. 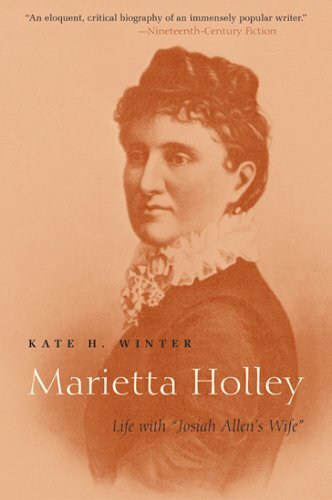 Marietta Holley: Life With "Josiah Allen's Wife" by Kate H. Winter (English Department Lecturer at the State University of New York at Albany) is an engaging biographical look into the intriguing life of Marietta Holley. 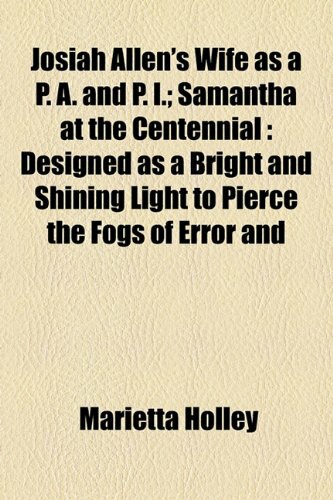 This scholarly biographical and literary study deftly explores the historical interests of the popular writer Marietta Holley and many of the secrets that made her life and writing what it became. A very highly recommended read for students of literature, women's studies, and regional American cultural history. 3. Josiah Allen's Wife As a P.a. P.I. 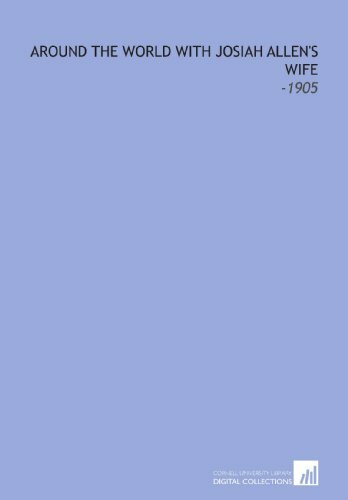 by The Author of "My Opinions and Betsy Bobbet's"
18. 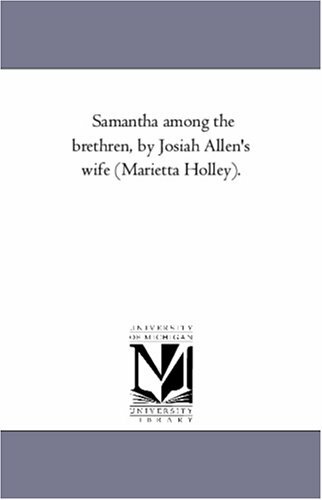 Samantha among the brethren, by Josiah Allen's wife (Marietta Holley).